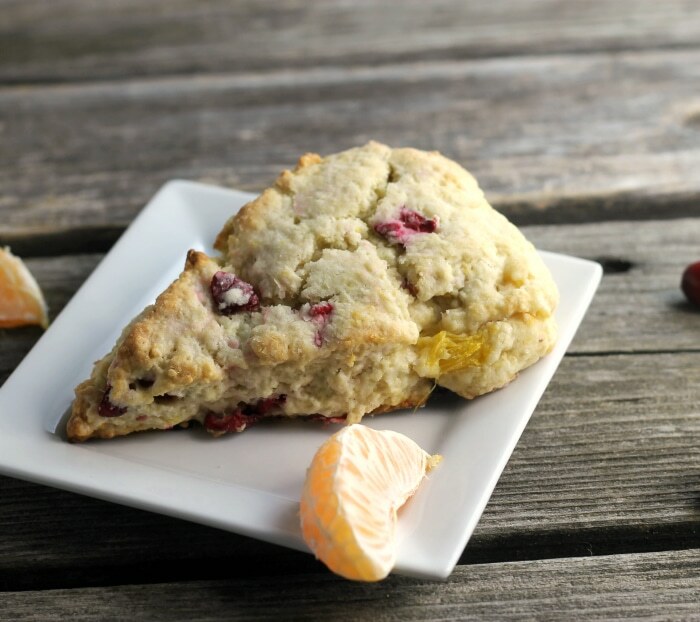 Cranberry orange cream cheese scones tender and moist scones have one or maybe two to start your day. 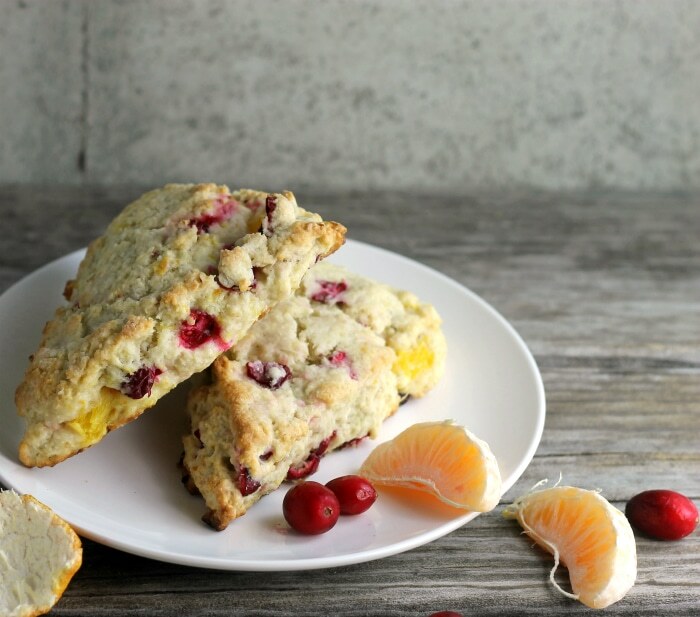 I love the combination of cranberries and orange, the flavors go perfectly together. And since I have a large bag of cranberries in the freezer it was a great excuse to make these scones. These are not your everyday dry scones. The cream cheese helps to keep them moist and of course, the orange and the cranberries help also. I have found that I like to add cream cheese or sour cream to some of my scones, for something a little different. Also, about the orange, it is another one of my favorites that I love baking with. I love chopping up a whole orange and putting in not only in scones but in coffee cakes and other desserts as well. 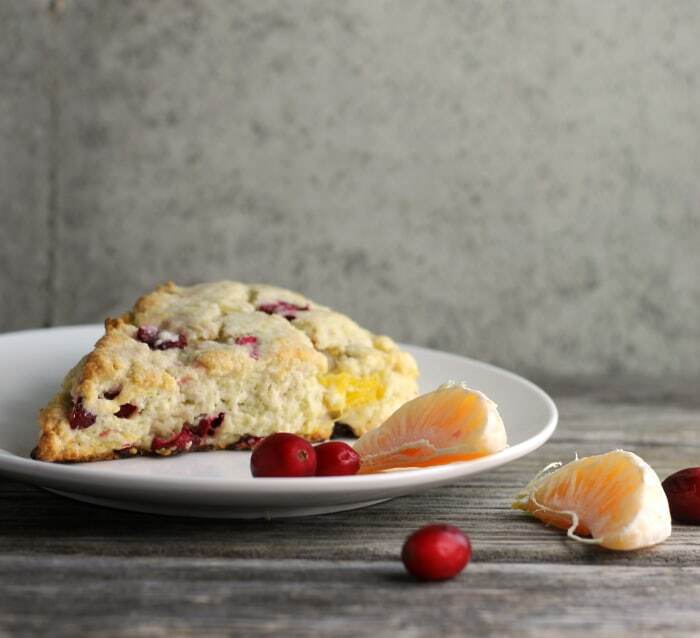 With Easter coming up this weekend, these cranberry orange cream cheese scones would be a great addition to your brunch table. This weekend is going to be super busy for me, but I am hoping to find a little time to make these scones for Easter morning. I know that it would be a nice way to start out the day. Plus I will be staying overnight at my mom’s house and getting up bright and early on Sunday morning to help her with Easter dinner. She loves the scones that I make, so I would love to surprise her. When my mom was younger, she would make poppy seed coffee cakes for everyone for Easter morning. They were always the best. I am going to have to get that recipe so I can share it with all of you. In a large bowl mix together the orange zest, flour, baking powder, baking soda, salt, and sugar. Cut in the butter using a pastry knife or a fork until you have coarse crumbs. Next, cut in the cream cheese with the pastry knife or fork. Toss in the chopped cranberries and oranges. Mix the milk, egg, and vanilla then add this to the flour mixture. Mix by hand until the dough forms a ball. Place the dough on a slightly floured surface and knead a few times. Form the ball into an 8-inch circle. Using a pizza cutter cut into 8 wedges. Place on a prepared baking sheet. Place the scones into a preheated oven that is set at 400 degrees F.
Bake until light golden brown about 15 to 17 minutes. Remove from the oven and cool on cooling rack. I love orange and cranberry together. Such a great combo. Have a most excellent weekend with your mom. We love scones! Those with cranberry and cheese sound and look wonderful. 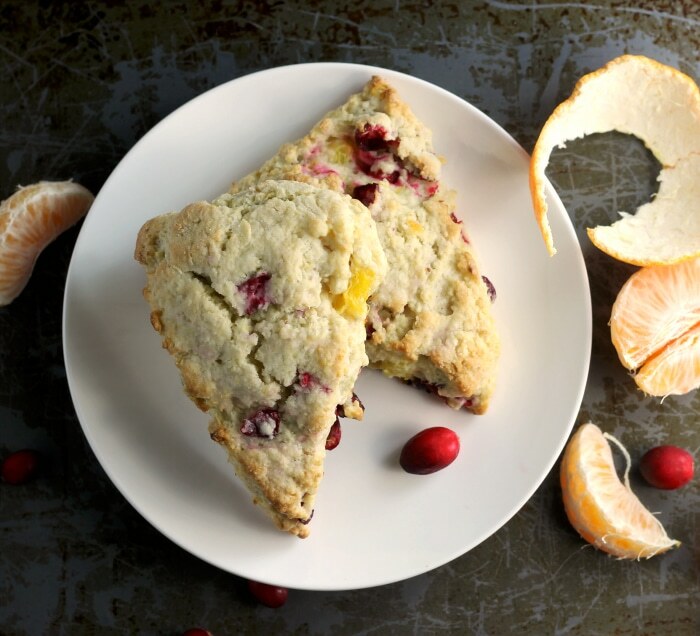 Mmmm…I love the combination of cranberries and orange! And I have never used cream cheese in my scones—I bet these are super moist! These scones look great Dawn, and yes, a wonderful way to start the morning…nice recipe! Alyssa, I am happy that you like the scone recipe. Scones are one of my favorite things to make. Dawn, bravo! What a great idea! Love this. I’m sure this is incredibly delicious!